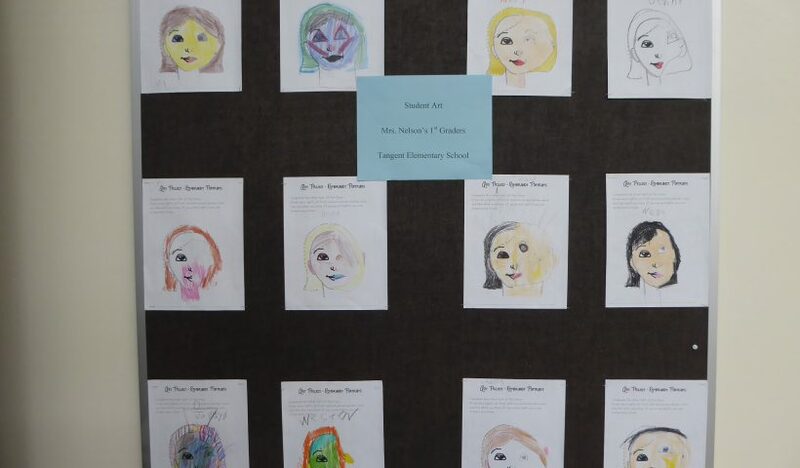 Mrs. Nelson’s first-grade class at Tangent Elementary School combined art and history lessons in a recent project. The artwork was part of the art history curriculum in which students studied the work of Baroque artists, including the Rembrandt. 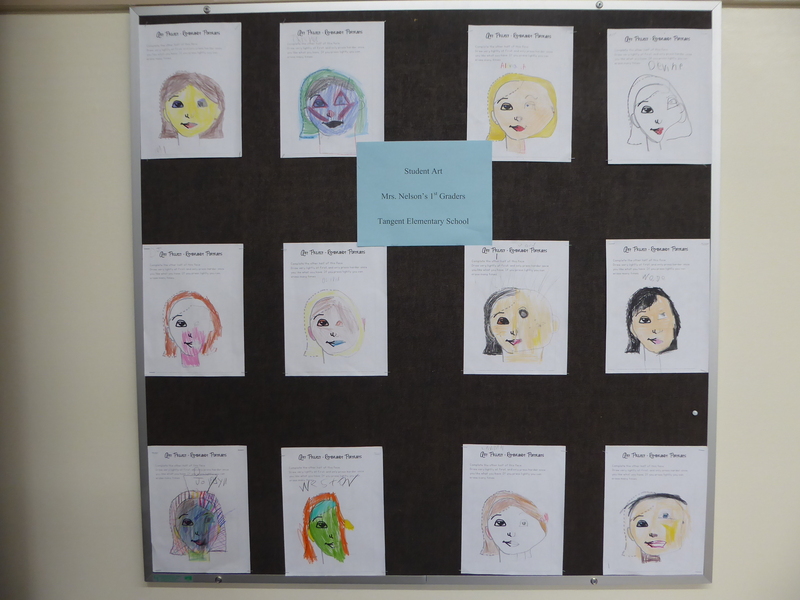 Students were given half of a face and were asked to re-create the image on the other side. Some art is featured here. Stop by the District Office to see more!